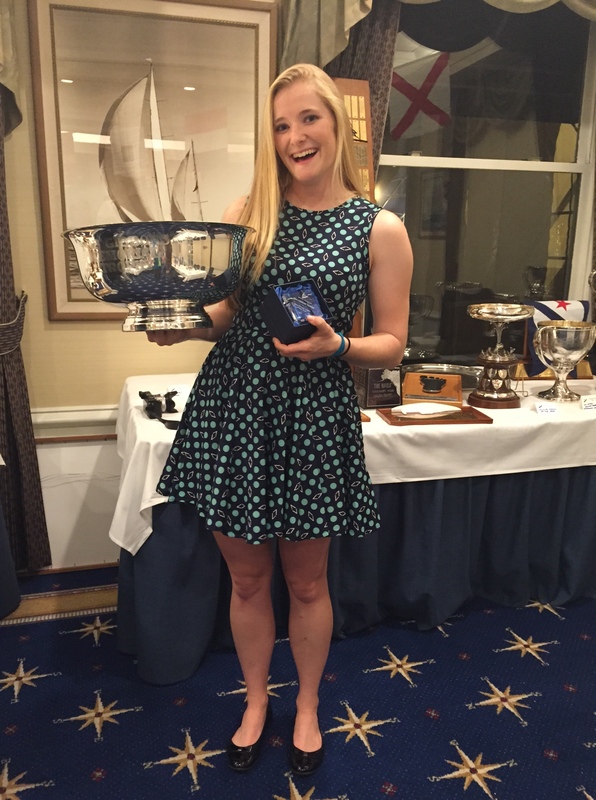 Helena picked up some serious hardware at the Seattle Yacht Club’s annual Sailboat Awards! She won the Bob Gibbons Memorial Trophy as the 2014 One-Design* Sailor of the Year. 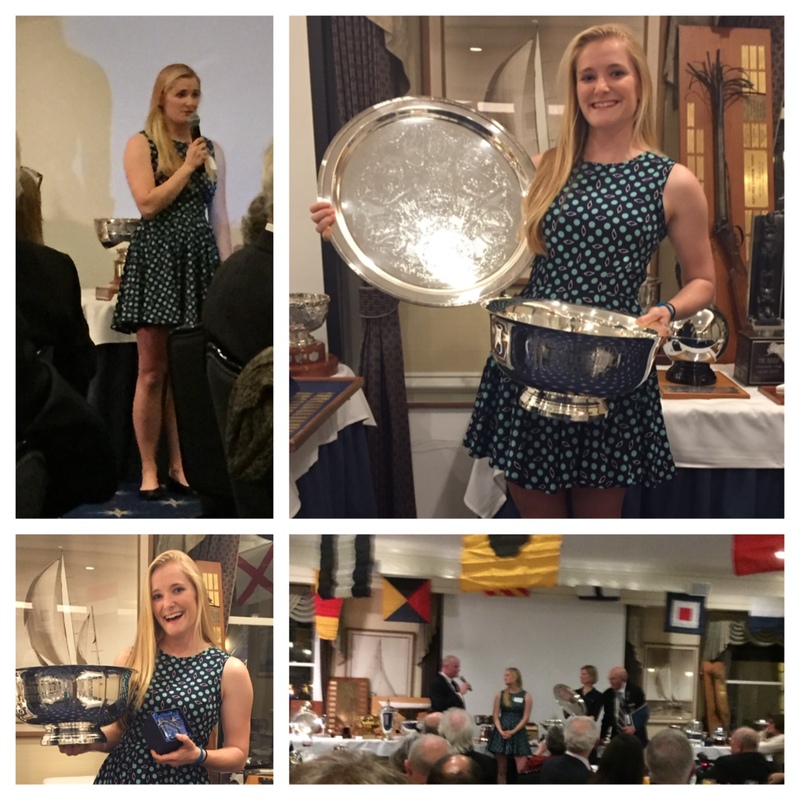 “Thank you to Seattle Yacht Club for a great night – it was fantastic to return to the club and see many familiar faces after much time away at university over the past four years. I also enjoyed meeting many new supporters from the Seattle sailing community. Seattle Yacht Club is where I really honed my racing skills as a junior sailor, thanks to the excellent coaching of Ben and Jen Glass for both high school and 29er sailing. Thanks to Brian Ledbetter for helping me in his role as Sailing Director, too. And of course, this isn’t really my award, it’s ours – because I couldn’t have done it without Paris! *”One-Design” is a general category of racing sailboats. One-design means that all boats are identical, so therefore differences in racing are all due to the skill of the sailor (In contrast, other races allow the sailors to use different equipment and develop new technologies to improve their performance). The 49erFX and college sailing boats that Paris and Helena race are one-design because there are strict rules on the exact equipment (hull, sails, mast, etc) that can be used for racing. This entry was posted in Awards and tagged Seattle Yacht Club, Seattle Yacht Club Foundation. Bookmark the permalink. Fantastic, Helena! You’ll need a big bottle of silver polish to keep those clean. That is super. What fun and hard work! Love it xoxo E.H.Henken D.D.S. M.S. Come aboard - Follow us via email! Just enter your email to be notified when we post updates!